Belle Customer shows just how to wear a big skirted dress perfectly! At last one of my most favourite dresses from Paris was hired at the weekend! Belle customer, Emma, wore this stunning, strapless dress and I’m so glad that she gave it a chance as other customers have been somewhat “afraid” of this style in the past because of its fuller, layered skirt. The secret with a fuller skirted dress, is to ensure that the bust and waist are extremely well fitted so as to give you definition and not give the appearance of a square shape all over. This dress is so well shaped as it is very neat at the bust (with discrete cups so you don’t even need to wear a bra!) and is ruched from the bust right down through the waist to just above the hip bone, giving an elongated, streamlined shape. Unfortunately, you can’t really see the fabric too well in these photos, but it’s a silk chiffon, with a very slight sheen so it reflects the light extremely well. Its mix of forest green, with navy print and a light gold sheen suits most skin tones and hair colours. The bust is decorated with diamante and to be honest as this is a fully patterned dress, you need minimal accessories which Emma has pulled off perfectly here. I just hope these photos encourage more ladies out there to at least try on a fuller skirted dress and give them a chance!!! 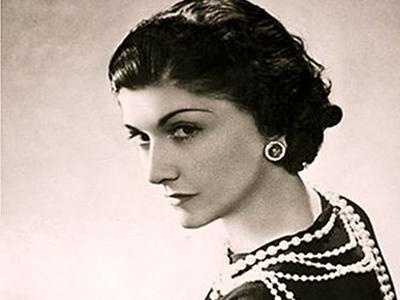 Here are just a few amazing quotes from the lips of the infamous Coco Chanel, a fashion icon and legend. Her thoughts and ideas can still inspire us today ..
Take heed of these words …. and yes Keisha, I’m talking to you!!! Meet the man with the Golden Gun …. I mean shirt!! Weighing just over 7 pounds in weight, Datta Phuge is now the proud owner of a unique golden shirt worth nearly a quarter of a million dollars, which took 15 craftsmen over 16 days to complete and is made up of 14,000 pieces of 22-carat gold. He only wears it for special occasions, the rest of the time the shirt is securely kept at home and I would assume is insured for a hefty price! Not content with world’s most expensive golden shirt, the look is complete with six Swarovski crystals for buttons and even a matching gold belt! I’m very sorry ladies, unfortunately Belle Dress Hire doesn’t have dresses in stock which are made of gold, but I do have some luxurious fabrics which won’t require an insurance policy! Belle Customer would make you green with envy! 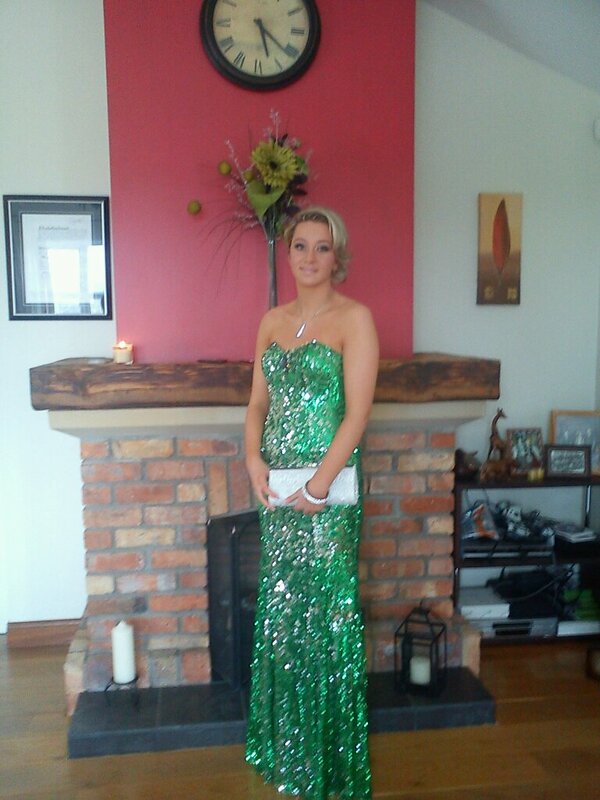 Looking simply fabulous in a full length, emerald green and silver sequinned, strapless dress, Aileen is the first to hire this amazing dress. 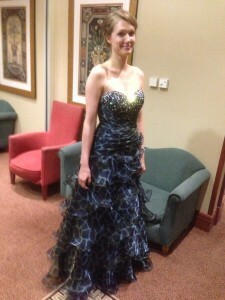 She absolutely rocked this look at a recent school formal. 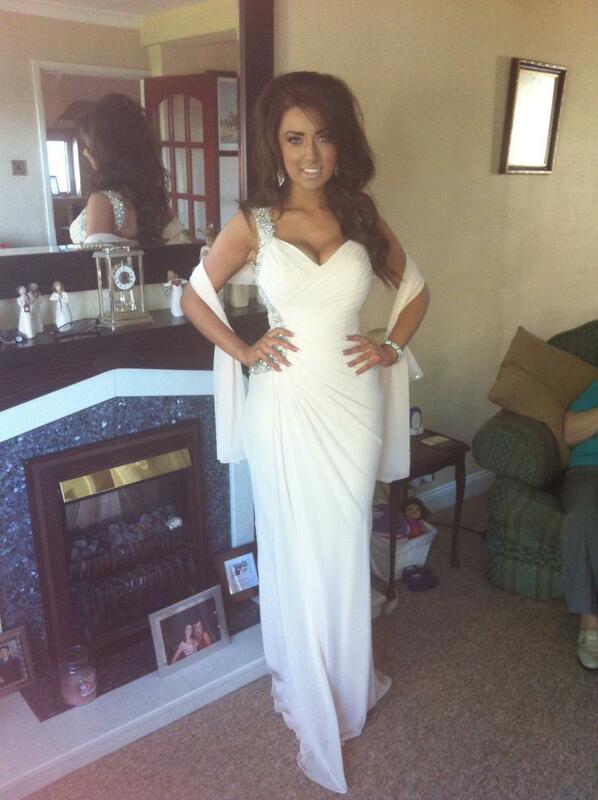 Aileen shows plenty of confidence which you need to wear such a statement dress like this. She had loads of compliments on the night, looked so different to all the other girls attending and even made it to the front page of her local paper! You can’t see them in this photo but Aileen wore silver, sky scraper shoes, God knows how she walked in them but that’s me just showing my age. 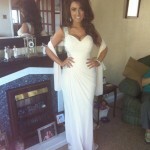 This dress is ideal to wear to a black tie event and is available to hire in a size 6/8. Because this dress is completely sequinned from head to toe, you can afford to keep your accessories to an absolute minimum and just let the dress speak for itself as Aileen has very successfully done here! Julianne Hough, an Irish Dancer? It may be haute couture but the white collar detail looks like a bib and I absolutely detest the shoes! 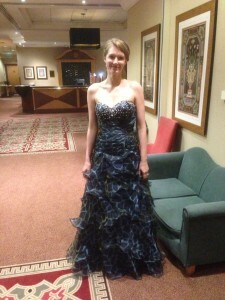 This dress actually reminds me of an Irish Dancing costume …… a really bad one! Beat the bloat in run up to event! I have just read online that Epsom Salts can help reduce the appearance of bloating! When I used to perform on stage with Lord of The Dance in my younger years, I bathed at night in Epsom Salts as they helped to relax my aching muscles. It never occurred to me that they actually helped minimise a bloated tummy as well! Apparently, this is all because Epsom Salts contain magnesium which can also aid a good night’s sleep. So that’s three major benefits of adding some salts to your bath. So girls, in the run up to your event, take note that if you want to look your best in a figure hugging, floor length gown, take a bath or two that week and add Epsom Salts! This and the addition of Spanx means you’ll look a few pounds lighter! Olivia Palermo enters the ring …. I have always been a fan of Olivia’s style and have to say she hasn’t disappointed in this outfit. Unlike Nicole Ritchie, Olivia has decided to go with a bight, vivid, yellow dress to celebrate the warmer Spring weather. There are things I love about this outfit but certainly a few things I’m not so keen on. Olivia is always commended for her talent in pairing the right accessories with any outfit. Generally, she goes with very polished and simple lines such as a top, jacket and pencil trousers for example but then makes the outfit stylish by adding a vintage necklace and amazing shoes. Once again this is what Olivia has done. However, there are a few things niggling at me. I feel the addition of the jewelled necklace and belt is a tad too much. I think she should have gone with one or the other. I also have to point out that the fabric of this dress is badly wrinkled which is a pet hate of mine and tends to make the dress look cheap. I also think the addition of the oversized clutch, again is just an accessory too far and is detracting from the overall look. Let’s get back to the positives though! Just look at these shoes!!! Talk about screaming Spring/Summer! They are absolutely stunning. I believe they are Jimmy Choo and probably cost a small fortune but hey a girl can dream! If you have the money to invest, these shoes could be worn to dress up a pair of shorts, cut off jeans, pencil trousers, a dress, jumpsuit …. the list is endless!